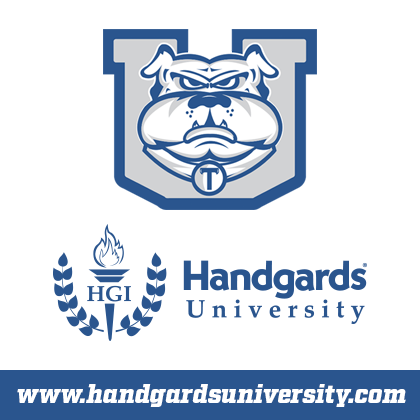 Handgards University is not an actual university, college, or learning institution, it is an extension of Handgards’ commitment to provide tools and resources for our customers and sales network. HGiU will be your one stop shop for educational, informational, and training needs. We have enhanced and streamlined the delivery of our marketing material content to insure that the features and benefits of our products are well represented. 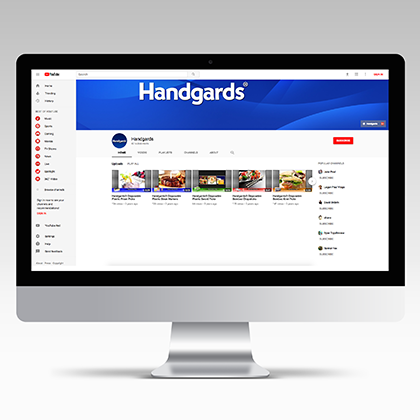 The Handgards University team will be working diligently behind the scenes to gather and deliver content on a consistent basis to make your visit more productive, efficient, and enjoyable. This interactive catalog is available on all of our websites and provides easy access to our products and information. It allows users to scroll through and interact with our full line of items. It can be viewed on PC/Macs and all smart devices. You can also download a PDF of the catalog and save it for later use. 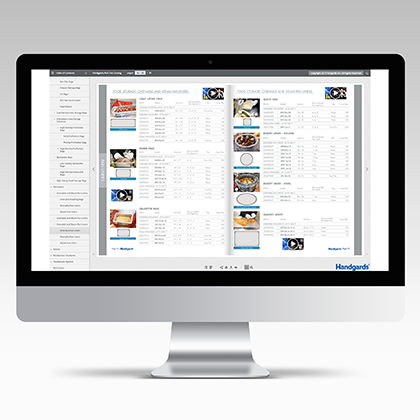 Our product videos are available online for training and product overviews. Each video provides features, advantages, and benefits for our products in addition to “How-to-use” videos. 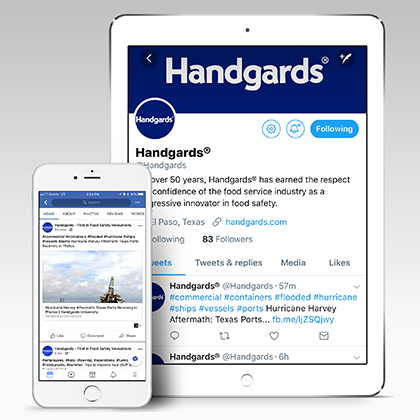 Handgards is active on all of today’s popular social media outlets. New product announcements, latest industry news, product overviews, and upcoming events are just a sampling of our social media exposure.